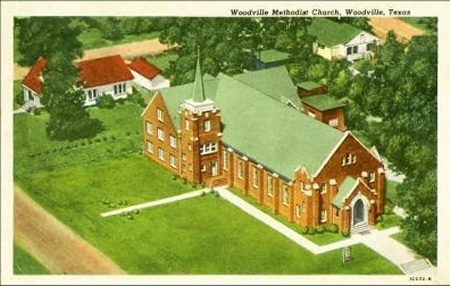 Established in 1846, Woodville was named after the second governor of Texas, George T. Wood. On US 287, 1 mile West of Woodville. Admissions. For information, check with Big Thicket Information Station on FM420, 7 miles N of Kountze. A roadside park beside U.S. Highway 287 northwest of Woodville is a wonderful place just for sitting on a park bench, listening to the sounds of the forest, and dipping your toes in a spring-fed pool built by Civilian Conservation Corps workers in the 1930s. Families come here for reunions, kids enjoy running around the expansive grounds, and Scout troops often camp beneath the tall trees. In 1855 M. Priest deeded one acre of land, containing several graves, for use as a public burial ground. Another acre was donated by Jane Bean in 1859, and additional land was acquired later. Woodville Magnolia Cemetery contains the graves of numerous pioneer settlers and early community leaders. Handmade bricks outline some of the older graves not marked with headstones, such as the graves of five wives of George Van Vleck and several of his children. 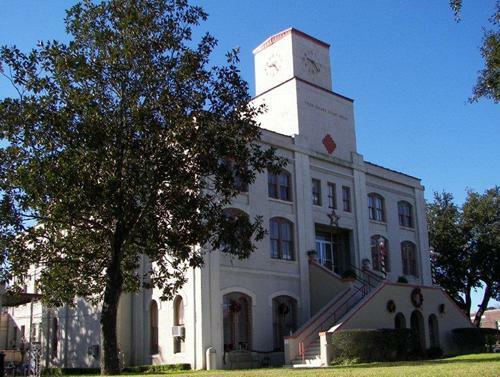 Van Vleck, who is buried in Houston's Glenwood Cemetery, served as the first district clerk of Tyler County for 16 years and as Grand Master of the Grand Lodge of Texas, A. F. & A. M., in 1862. Among the other pioneers buried here are Captain Charles Bullock (1825-1902), who raised a company of soldiers for the Confederate army, and the Rev. Acton Young (1823-1873), early Methodist minister in this region. Also located here is the gravesite of Nancy Shivers (d. 1890), a widow who brought her family to Texas before the Civil War. Allan Shivers, Governor of Texas from 1949 to 1957, is one of her descendants. Veterans of the Civil War, Spanish-American War, World Wars I and II, and the Vietnam Conflict are interred here.